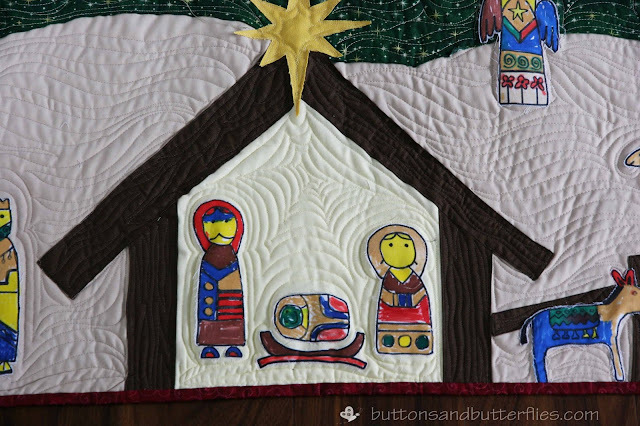 When we arrived to Salt Lake City, my friends all wondered out loud how long it would take the schools to find out about my quilting experience. All it took was an Auction meeting in September to offer my services to the committee. 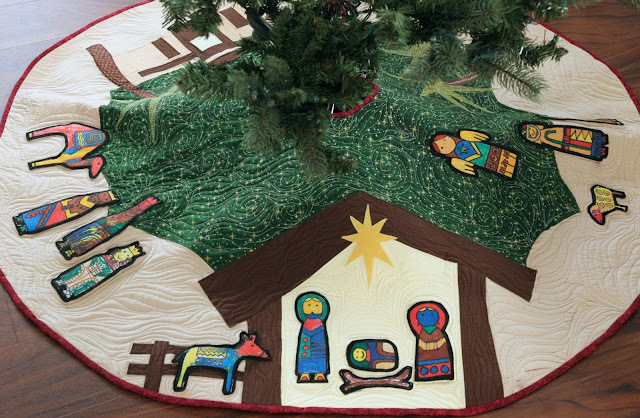 The kindergarten room traditionally did a quilt for the class auction and they needed help. How could I not speak up? I met with their room mom who had chosen coloring book images for the kids to color. I sent her on her way with the approximate size, preparation of the muslin fabric with freezer paper backings, and my collection of fabric markers. She chose the fabrics for the sky and background based on the fact that she wanted to do more "traditional" Christmas colors. 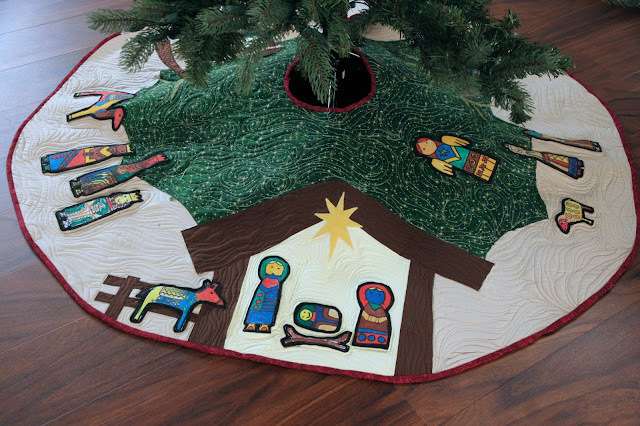 She returned with two sets of Nativity scenes, unsure if I would need it to "fill up" the tree skirt. 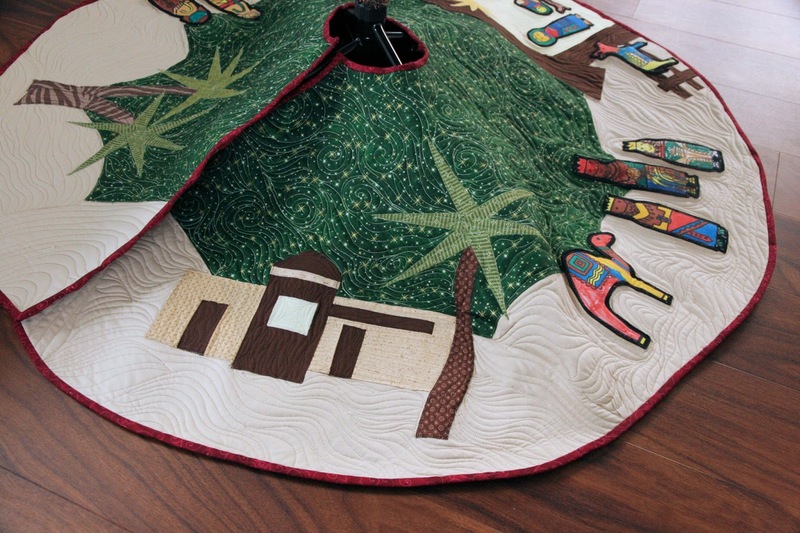 However, it was too much, especially knowing that we had to keep the adorable drawings toward the edge of the skirt. 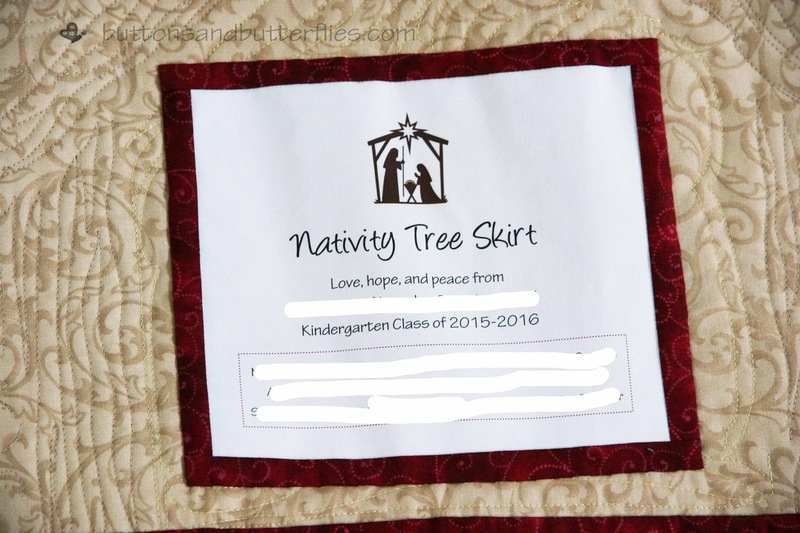 I saved the second set for the Nativity Wall hanging Quilt I made for the end of the year Kindergarten teacher gift. I was really worried about the figures getting lost in the background and satin stitched them to some black felt and then appliqued them on the backgrounds. It ended up being the part the parents loved the most. 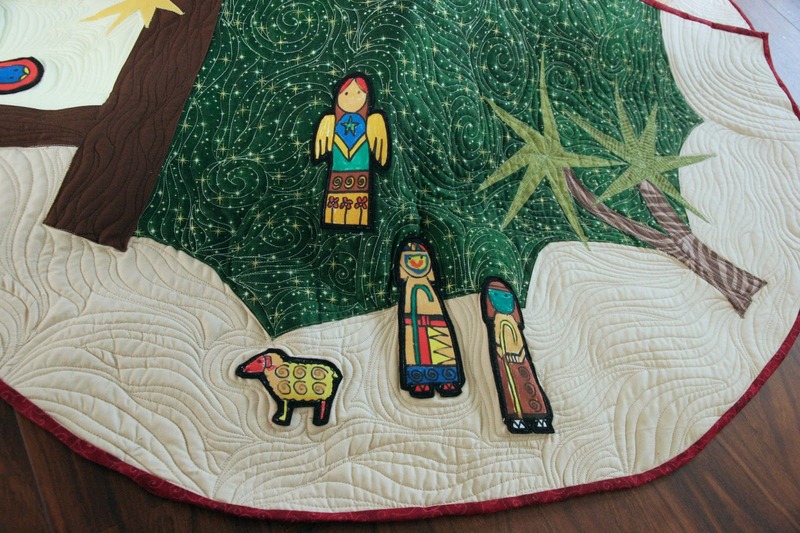 The colors the kids chose and the fabrics the room mom picked evoked feelings of an authentic desert nativity scenen. 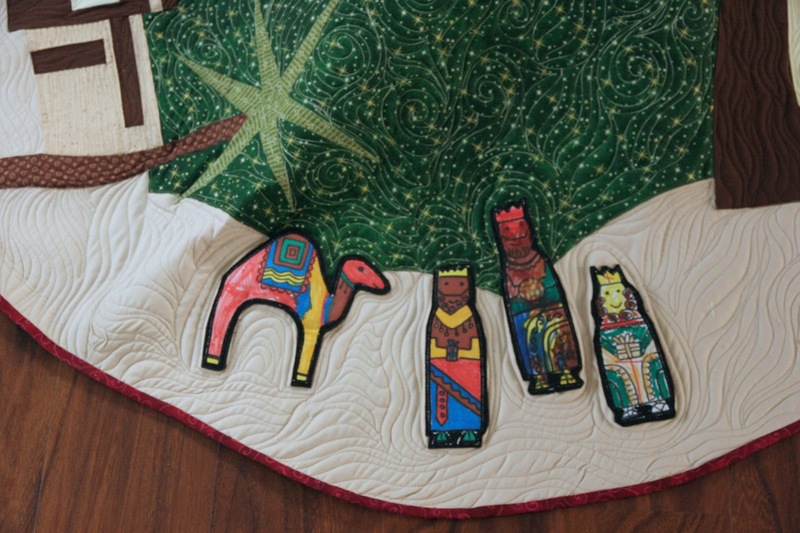 I made the creche oversized, had the shepherds gathered on hills of sand with palm trees, and the village of Bethlehem in the distance behind the Wise men. This photo is actually from the wall hanging. I think I went a little crazy with the dense quilting, but I wanted to showcase the figures and also give the feeling of shifting sand dunes and swirling dense stars. I can't seem to find a photo, but I made covered button closures at the opening. I also made a printed quilt label with the kids names on the back. They were the main artists! I have to admit, I was pretty excited to hear how well it did at the auction! I hope that I can help them out to do just as well next year!